I’ll begin this review with a quick disclaimer – I’ve been shooting film for less than a year at this point. During this time, I’ve immersed myself in as much of a film education as I could find between books, articles and fantastic advice from experienced film shooters. But, with no formal training and limited experience, this review is coming from a fairly novice point of view. What I’m aiming to do is provide other new shooters some starting points on film stocks based on my own learning and experience. So, without further ado, onto today’s film! …and you can find additional samples to those below, as well as a datasheet link and links on where to buy it right here. Just like any 100 speed film, Kodak Pro Image looks best with an abundance of natural light, especially when shooting it with the camera handheld. I had the chance to test it out in a variety of different types of weather and it came into its own in bright sunlight when the colours were clear and vivid. It’s not as sharp or saturated as Ektar, Kodak’s other 100 speed colour negative film, but at almost half the price per roll, it offers a very economic alternative for beginners to get some practice on, and the results are still perfectly acceptable. It also handles Caucasian skin tones well, where Ektar has a tendency to render them too red. 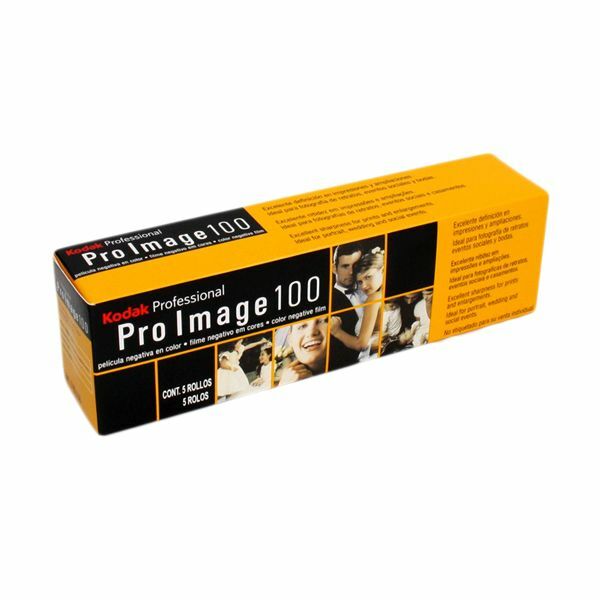 Another advantage of Pro Image, particularly for beginners: Kodak’s claim that it’s good for hot and humid climates was absolutely true as my pack of film had to survive five airport scanners, multiple beach trips and hours of being left in hot cars. In my opinion, this makes it an excellent choice if you’re taking film on a trip where you can’t predict the weather or don’t have easy access to cold storage. Contrary to common advice for colour negative film, I wouldn’t advise over-exposing the film as it tends to look a little washed out. Shoot it at the advised exposure settings and you’ll make most of the colours that it can provide – it leans slightly warm and renders golds, greens and browns beautifully. Blues come out quite weakly and the results were rather less impressive under overcast skies – stick to shooting in sunlight for best results. A note on shadows – it’s very easy to lose shadow detail, but thankfully underexposed areas don’t come out in a grainy mess, as is sometimes the case with some cheaper/consumer colour negative films. So, if you’re shooting in dark areas, don’t expect to retain detail in the shadows, but be prepared for the film to render them as smooth, solid dark areas in the image. In conclusion, you can trust Kodak’s claims about this film – it’s excellent value and a good film for beginners to use to get to grips with slower films before trying more expensive stocks. Give it lots of light and don’t expect the sort of shadow detail that you’ll get in digital imaging or more expensive stock. Most of all, enjoy grabbing a 5-pack of affordable film and taking it to all sorts of adventurous places – it’ll manage just fine. Jeez, Norm. She’s a newb. Cut her some, a lot of, slack. This was about the film, not her techniques. I’m guessing this is only available in the UK, or at least not in USA. This would be a great film when I run out of Ektar if it is half the price. Hi Norman and Paul! Thanks so much for your help and yes, I was aiming to write it for beginner photographers who are unlikely to have access to photographic tools beyond a camera. For that reason, these are the completely unedited scans (I would have worked on the clarity and contrast in post, as I use a hybrid workflow). For a similar reason, as I’m not making darkroom prints from the negatives, there is less of a pressing need to overexpose as I understand you might need to for prints. I’m a bit more focussed on the digital ouput. That said, I’m very grateful for the advice and I’ve personally been looking into polarisers to improve some of the cloud detail. One of the wonderful things about the film community is the depth of experience we can draw on and I’m ever so grateful! And yes, Paul, it’s definitely available in the UK and is often on offer. It’s a good alternative to Ektar – not perfect but with a different set of strengths. I’d suggest you use a better UV filter which will allow slight ovexposure and eliminate the haze. It will also give you fantastic, natural blues in the sky and water and will result in a more true to eye picture. Not all UV filters are equal. I use the Japanese Manfrotto ones and they block 100% UV. Also consider a polarising filter for cutting haze, reflection and giving clear detail to clouds.